The headline and photo says it all (but you should still read the article). This week’s Monday Roundup is brought to you by Huntco, your Portland-based source for commercial bike parking solutions. Welcome to the Monday Roundup. Sorry to start it off on a sour note, but if we want more happiness in the future we have to confront what’s making us so sad (and mad) in the present. We have a trio of stories for you that get to the root of the problem: too many people driving too many cars, too fast. “Crisis”: An Associated Press story made the rounds last week with dire warnings about the significant rise in traffic deaths across the country so far this year. The word “crisis” is being used not just by activists but by mainstream experts and leaders in the field. 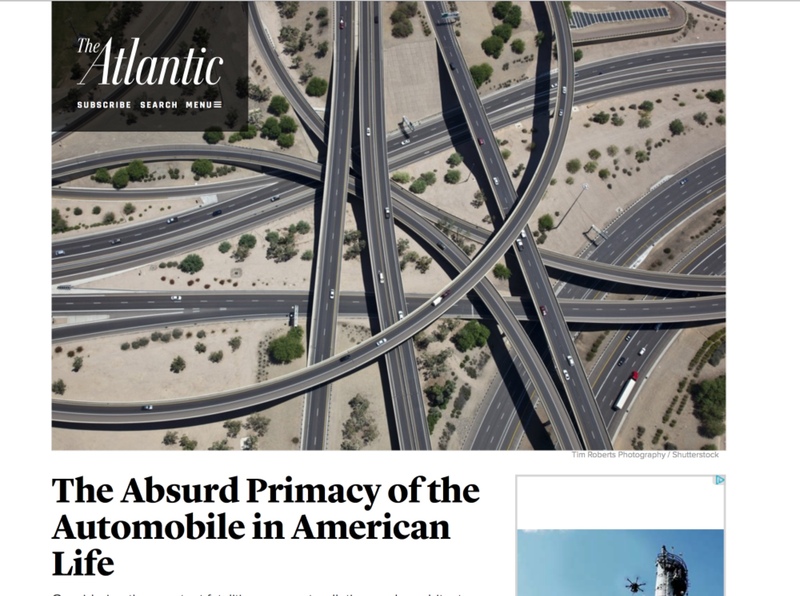 But wait, there’s more: The news and cultural analysts at Five Thirty Eight went deep into the underlying policies and perspectives that lead to America’s speeding problem. Spoiler alert: The way speed limits are set guarantees deadly roads. Biking is the new golf: That saying has been around for years now and this BBC piece about why Nike and Adidas have pulled out of the golf market validates it even further. Bike thief chase: Great story from San Francisco about bike shop employees who rode after a bike thief, knocked him off the stolen bike and subdued him until police showed up. Bonus: It was tracked on Strava. Branson down: Global business magnate Sir Richard Branson took a major spill on his bike and photos of his wounds have become headline news around the world. 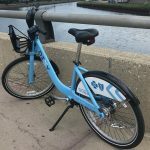 E-bike share: The city of Baltimore is prepping to launch a 465 bike, 50 station bike share program — and about 40 percent of the bikes will be electric-assist. This will be the largest e-bike share in the western hemisphere. 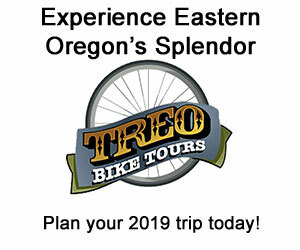 E-bike share II: Seattle’s Pronto bike share system is struggling and the city is looking for a new vendor to expand and re-invigorate it. The leading bidder, Bewegen, is proposing an all-electric fleet. Parking policy primacy: Slowly but surely cities are realizing how absurd it is to give away so much of their valuable real estate to free car parking. 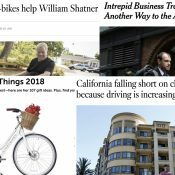 Fed up: Transportation for America has your update on the widespread pushback to the US DOT policy proposal to measure congestion without taking biking and walking into consideration at all. Go Go Bronzeville! : Take an illuminating tour of the Bronzeville area of Chicago with a man who’s working to make biking and walking easier for his community — as he weaves through the complex issues of race and urban planning. Neighborhoods don’t always know best: New York City Mayor Bill DeBlasio seems to be finding his footing on Vision Zero. He’s pushing through a road diet despite opposition from the community board. Check your facts: Advocacy group Bike Austin got called out by Politifact for a statement they made on Twitter about how much sidewalks and bike lanes reduce crashes. “Mostly false” was the ruling. Ouch. 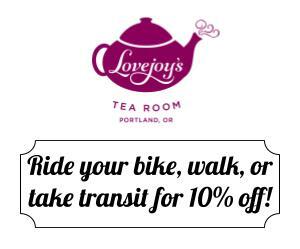 BikePortland is supported by the community (that means you!). Please become a subsriber today. You can also make a one-time donation here. Every time I ride past a golf course I imagine some self-organized encampments/pods of homeless people. Call me crazy but I expect a city to provide sufficient affordable housing that we can just use parks for having fun. Too bad you don’t work for a parks department. The ones around here don’t seem to notice the deficit in bike parks. When I was a teenage BMXer we used to ride on the golf courses and catch air on the mounds at night. And then we would get chased by someone on a golf cart. They never caught us. And how is that wrong? Cars don’t cause “accidents” on their own, they require human intervention, a driver. Human beings are the cause of all collisions be they drivers, pedestrians or cyclists. To bastardize an Eddie Izzard quote: cars don’t kill people, but the car certainly helps. Pedestrian collisions don’t sound too scary. Pedestrians walking into traffic is scary. Many pedestrians have been killed because they don’t obey the rules. It’s very scary when a driver collides with a pedestrian through no fault of their own. This complete demonization of drivers may work for you but people make bad decisions and it doesn’t matter which conveyance they choose to use to travel the roads. Pedestrians and cyclists can be at fault for collisions, even though the damage they can do to others may be limited, they often do kill themselves through those decisions. And that leaves someone else to have to deal with that death even though they did not have any way to avoid it. 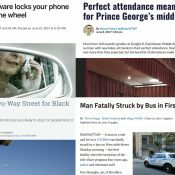 Can you provide any statistics indicating the rate at which pedestrians are at fault for their own deaths? No need to discuss any further, since you cannot accept that the problem is with people in general making bad decisions. But if you care to read here you go. But again, that means the penalty for pedestrians making mistakes is injury or death, which is still a problem. The other thing the statistics make me wonder–if the pedestrians are at fault 80% or 90% of the time, are the rules stacked against pedestrians? And are pedestrian facilities inadequate to protect pedestrians from the mistakes they seem incapable of avoiding making? Yes, pedestrians and cyclists are sometimes at fault, and can end up dead as a result. And some people demonize drivers, but someone saying, “Pedestrian collisions don’t sound too scary” is hardly demonization of drivers. The irony is that apparently demonization of drivers was started by car companies themselves, attempting to prove cars were safe. What’s most important to me, though, is that when cars are around, the penalty for pedestrians and cyclists for not obeying rules (intentionally or via a lapse) is death. That’s a huge problem, regardless of whether it’s the fault of drivers, cars, or pedestrians and cyclists. Except that you (and you have lots of company) are skewing the statistics of who is not obeying the rules. Where this has been studied, roughly 70% of pedestrian deaths and injuries from collisions with cars are found to be the fault of the driver, a good many of the rest are shared fault, with only single digit percentage the fault of the unmotorized. Why are you saying I’m skewing statistics? The closest I came to even mentioning any is to say that pedestrians and cyclists are “sometimes” at fault. I don’t think that qualifies as “skewing” any statistics. Plus, what does any of that have to do with my statement that you quoted, anyway? I was saying that people who don’t obey rules don’t deserve death. No statistics were used in the making of that statement. OK, skewing wasn’t perhaps the best word choice. My point was that you highlighted not obeying rules by pedestrians, without comment or qualification. This leaves the reader with the impression that what we should note about former pedestrians is that they weren’t obeying the rules, even if, technically, you didn’t quite say that. Since by my estimate the majority of former pedestrians were obeying the rules (e.g., Fallon Smart) it is unhelpful to phrase things the way you did. You run that past Hans Monderman? He habitually did it with his eyes closed. In Holland, the downtown area of nearly every city and town has a 30km/hr (18mph) speed limit. Almost every one has a ped / bike zone radiating out from the central square. That should be the goal in every city in America, Portland included. “Visualize Wreckless Driving” could be a great safety campaign idea, but wouldn’t work well for radio ads. Bravo, DiBlasio. I say this with no irony or humor intended–most Americans are too damned stupid to be allowed to have a say on transportation policy. If you don’t hate cars at least a little, you’ve got no brain. Interesting personal anecdote relating to the Bronzeville story: I grew up in the northern suburbs of Chicago. Being one of the most racially-segregated cities in the country, I was frequently told that the south side was an area that you just don’t go to. Despite having grown up after most of the housing projects has been torn out (the worst of which was actually on the north side), the south side still had this racially-charged fear being promoted by my white middle class suburbanite family and friends. Not knowing any better, I mostly heeded this warning, even after I moved into the city proper. My first experience with the south side (other than a Sox game, of course) was the inaugural Critical Mass South Side Ride, organized by a local black advocacy organization. Much to my surprise, the people we met along the ride were the nicest I had ever met on a Mass ride yet. There were no angry drivers, and families spilled out onto the streets to welcome us with waves and smiles. I also noticed that the neighborhoods around Bronzeville looked almost identical to my own north aside neighborhood. It was then that I realized that this story about the “dangerous south side” was in fact simply a myth perpetuated by decades of ingrained racism. Rather than simply ignoring an entire third of the city, the ride helped me develop a sense of empathy for my fellow Chicagoans and human beings. It was a a bike ride that I will never forget. If rebalancing is the major cost of bike share, e-bikes won’t change the costs much. Self-driving e-bikes could self-rebalance. A self driving e-bike sounds more like a Segway. In any case, if rebalancing is a major cost of bike share, it means that letting people ride bikes that average less than an hour/day over just a few miles requires a lot of driving and labor. Rebalancing might also cost less if the bikes went uphill as easily as down. Sweat, or wait for the bus? Even with a lot of rebalancing effort, we’re probably coming out ahead on most counts. You might think pedaling a bike is easy, but you have to use *both feet* and push way harder on those than on a gas pedal. Laziness is the mother of invention, some other stuff, and debt. The Atlantic article made me think of an ancient cautionary parable. In ancient times there was a kingdom in the middle east. After the annual harvest the Kings agricultural advisor came to him and said'” your majesty, we have a bumper crop, and the grain is the most nutrious ever, but anyone who eats it will go insane.” So the king thought about this for a time and had the Royal Graineries filled with the tainted crop. He ordered that the kingdom be fed from this plentiful harvest for the coming year, but he selected a few of the citizens to eat the remains of untainted grain from the year before, so that someone would know and remember that everyone else was insane. Those few are the cyclists, pedestrians, activists and bike portland readers who are pushing back against the insanity of the motorcar. 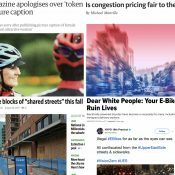 I stumbled into a very nice article that formats how to do things (like disorganize motor driving and promote cycling. 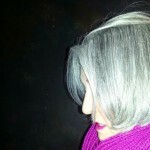 It is part of a Computer software blog. Ah, the creation of an open source project. Where once all you had was an idea and a desire to satisfy a personal need, you now have a fully-formed project that numerous other people are finding useful and effective. You’ve formed a community around it, interacting with people from all over the world who are grateful and willing to offer their time and effort to help build up this project. It’s nothing short of exhilarating. Then things start to happen that you didn’t necessarily want to happen. Competitors, critics and complaining users appear out of nowhere and seem to grow in number. Some even seem to take pleasure in bringing your project down. Forks start to appear, and what’s worse is that some of them claim to be better than the original. At this point, it seems rational to react strongly; to defend your project with the same vigor and passion you had in creating it. But this is a totally different scenario. While passion makes for great fuel in initial project creation, it’s often not the best basis for logical thinking, which is what is required once you’re in the thick of project management and its accompanying problems. As with any major undertaking, an open source project will have its pros and cons. Achieving the project and gaining support for it are often the biggest pros. Acquiring haters and producing diverting forks are in many cases, the biggest cons. But there are positives to these seemingly negative things, and ways you can handle them that can somehow make them beneficial to you. Haters and critics are undoubtedly annoying. They know how to get right under your skin especially if you feel strongly about your project, which is usually the case with most developers. The first thing you have to realize here is that these haters are a good thing. Why? It means that your project is actually meaningful and significant enough to be hated. This could also mean that several people actually used the software and that their numbers increased to a point where some of them have now noticed a few downsides to it. Speaking of downsides, they’re much more visible when critics are around to point them out, aren’t they? So in this sense, critics are actually quite useful. They help you see the faults you need to work on to improve your software and make it serve the needs of the community better. When criticisms don’t have this redeeming quality however and simply throw shade your way, the best course of action is inaction. Responding to these criticisms will only acknowledge and validate them, so it’s better to take a breath, turn away and move forward. Credits to Source Forge for the article. The Atlantic article only preaches to the choir. If we want more people cycling, we need to address issues that are important to noncyclists, not just shout into an echo chamber. Our society is built around cars and there are only a few places you can get around without them. Portland is one of those places — provided that your lifestyle fits within certain parameters. 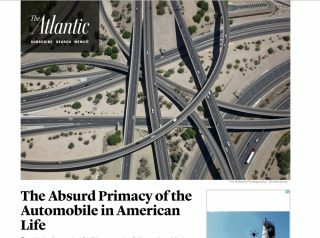 The article focuses exclusively on the costs of driving while ignoring why people drive in first place. People don’t drive cars because they’re dangerous, polluting, inefficient, etc. They drive because of perceived benefits, that they can do things they otherwise couldn’t, and they find the costs acceptable. This idea that most people don’t have to drive is simply not true. If we want people to drive less and not be marginalized ourselves, we need a game plan that amounts to more than ignoring why people do things and then wondering why everyone doesn’t jump on the bandwagon. According to PBOT statistics, 70% of Portlanders exclusively drive cars; that percentage rises to 76% in East Portland. Here in Greensboro NC, the figure is 93%, much closer to the national norm. By definition, “most” is anything over 50%, so even Portland is very auto-dependent. The only places I’ve been to that were less than 50% auto-dependent were small university towns in the USA, the UK, and parts of Europe, where the university is centrally located and is the overwhelmingly main dominant employment center; and a very few European cities that have highly centralized downtown employment, including heavy industry, and have excellent and well-used public transit systems and a variety of local bike and pedestrian facilities, such as Rotterdam, Strasbourg, Mannheim, and Luxembourg. Much of Europe has lots of sprawl, actually, and are sometimes even more auto-dependent than the US. Egg, chicken. If driving is easy, people do that. Students might have a hard time driving without cheap gas and free parking. Whether design drives demand or demand drives design is mostly a question of which came first and it could go either way. How many “auto-dependent” places would be totally bikeable with $10/gal gas? Keep in mind that electric bikes cost less than half as much as a beater car if you buy a brand new one every couple years instead of just replacing the battery. Some barriers are different than others. Everywhere south along I5 would be much more rideable if I could ride on the same route and grade, or even if Barbur just did its job. Either of those would be a world class bikeway without any auto traffic. So many good thoughts, but I can only give you one thumbs up. An easy start would be rebalance the ‘acceptable costs” side of the equation in most peoples minds. Lets load the real costs of the estimated sickness and death from auto pollution in to gas taxes instead of piling them on the health car system, lets get rid of free parking, lets bring in congestion based tolls like Scandinavia, lets drop the speeds on every road in the urban area outside of highways to 20mph, lets enforce this with multiple speed cameras. Then people can make their own choices without someone else subsidizing their convenience. these issues are being addressed and disproportionately so. for example, governor brown and her transportation committee have proposed to spend an additional $500,000,000 on highway lane/interchange expansion while cutting funding for bicycle and pedestrian infrastructure by ~14%. I interpreted the message you quoted differently. I think it’s saying that if we want more people biking, we need to address the reasons people are not biking, so that they start biking. 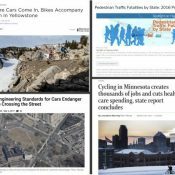 The fact that so much is being budgeted for highways while bike and pedestrian funding is being cut shows that those efforts are currently failing. I really enjoyed the 538 article on speed limits. Does anything prevent traffic engineers in Oregon from putting in place temporary traffic control devices like stop signs prior to doing a traffic speed survey and then setting the speed limits accordingly? Of course this will require the police to do their part to keep the speeds under the newly-set limits once the stop signs come down. 20 is plenty until the road is fixed. done. Then there’s (9) “emergency speed”, which is 120 days long, given no more justification than PBOT’s saying it’s so. What I’ve been wondering is does the governor have the power to lower speed limits by 5-10 mph across the board in Portland? As an emergency measure? Until we figure out what is going on? It would be a lovely thing to see our neighborhood streets driven at 15-20, and our collectors at 20-25. To people who think speed limits don’t work, I think they do help to change norms, making a climate less inviting to aggressive driving. We are going to have a speed study done on the road that goes by my house to see whether we are worthy of traffic calming measures (85% going more than 5mph over the speed limit). We have a lot of people who bike on our road and skew the 85th percentile downward. I’m wondering whether I should drive over the counter tubes a bunch while speeding to help our numbers…. If Nike or Adidas have anything to do with cycling as “the new golf” then it’s the other way around: both pulled out of cycling years ago. Of course in the summer I still rock my Adidas MTB baggies.